With the approach of October, one of my favourite months, I find myself in the flightiest of moods. Sitting with anything for long is a chore and the thought of finishing anything seems an impossible task. 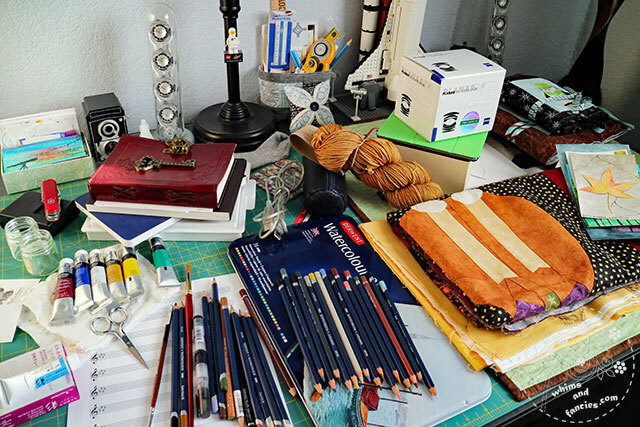 My otherwise tidy desk is now a mirror image of my brain. This is true except for one thing- books! A book is the only thing that can still pin me down for hours on end. This week is Banned Books Week, an event sponsored by the American Library Association. I am lucky enough to celebrate my freedom to read and think independently every day. This FREADOM quilt I made last year is possibly my most favourite piece! You can read about the story behind this mini here. 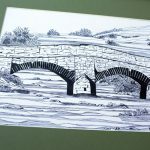 Other than travelling in the pages of my books, I also travel by means of painting places I have visited before. I love Derwent pencils. I already have a set of their Inktense pencils and recently I was gifted a set of the Derwent Watercolour pencils. 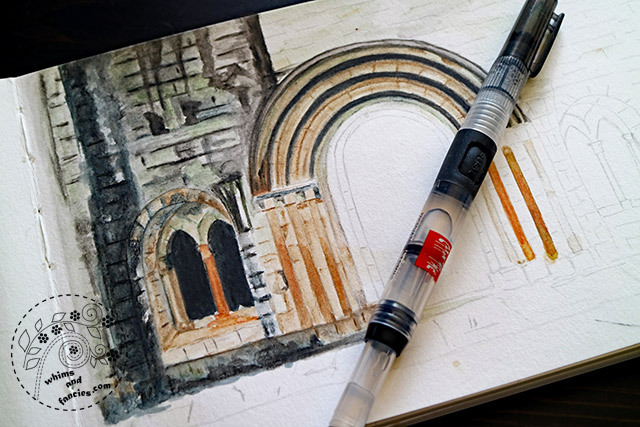 I am trying them out on this sketch of Dryburgh Abbey. I pulled out my Hexagon quilt again. After having made a little over 2000 hexagons, sadly, I have lost interest in this project. I will probably sew a few more rows and then come up with a design sans hexagons to finish this quilt. Any ideas, anyone? October of course means Autumn and Halloween. 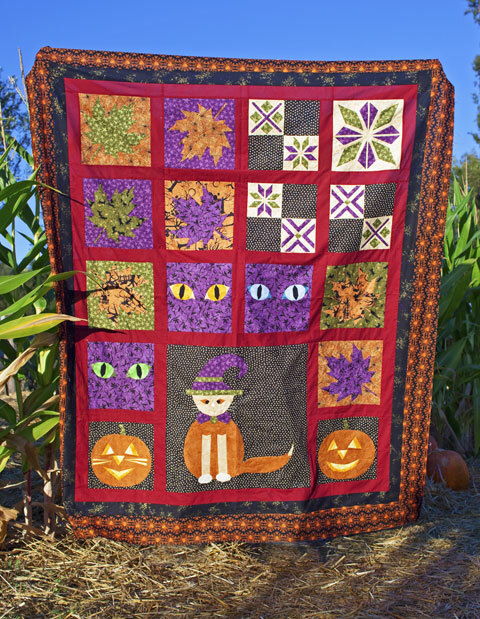 I have been selling quite a few Fall/Halloween quilt patterns from my shops. That means very soon I will be able to make a sizeable donation to my favourite charity. Here is a collage of all the Autumn / Halloween blocks I made until today. I have two orange kitties in real life, and they are both here of course! I always get asked about pattern links right after I publish a post, so I am including the links here should you like to purchase any. There won’t be any new fall or Halloween projects this year, but I have pulled out the Charlie’s Adventure quilt and its backing fabric. I made this one for the Black Cat Crossing blog hop alongside writing a short story that goes with this quilt. You can read the story here. It’s high time I quilt this one. Janine from Rainbow Hare wrote a wonderful post called Leap In Colour. I myself have been thinking about taking a leap for a while now, and her post gave me that much-needed push. Many thanks to all of my online friends as well for their constant encouraging comments. I started taking the first steps toward the next phase of Whims And Fancies. Following on Janine’s footsteps, I am also letting my byline be my inspiration. If you are on Twitter, I would love for you to follow me there! 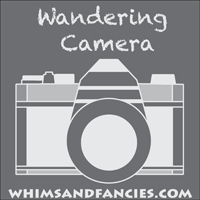 I am also linking up on Photo Friday, Life Thru The Lens, Through My Lens, Seasons, Our World Tuesday and Friday Photo Journal along with with other linky parties on my Events And Links page. Your Halloween patterns are great. They are giving me some good ideas for a conglomeration of Halloween blocks I’ve gotten from a swap. Nothing will be done on this project til next year, if I’m lucky. What a talent you have! Very impressive! 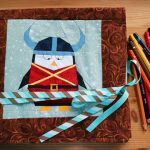 That quilt Freadom is stunning and I bet a awesome gift for a book lover! Many thanks for sharing these musings in Fall with ALL SEASONS! A curious question, because I have been looking for a decorative key for some time – and I see one on your first image on the red book. Do you remember where you purchased it? That’s a cool orange striped cat quilt! 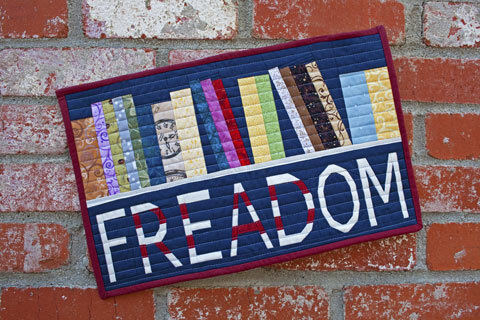 I totally love your Freedom with books quilt! When I was teaching, I used to stress that reading would give my students freedom. Reading and freedom go hand and hand. What a very special quilt with a priceless message! Thank you so much for sharing! 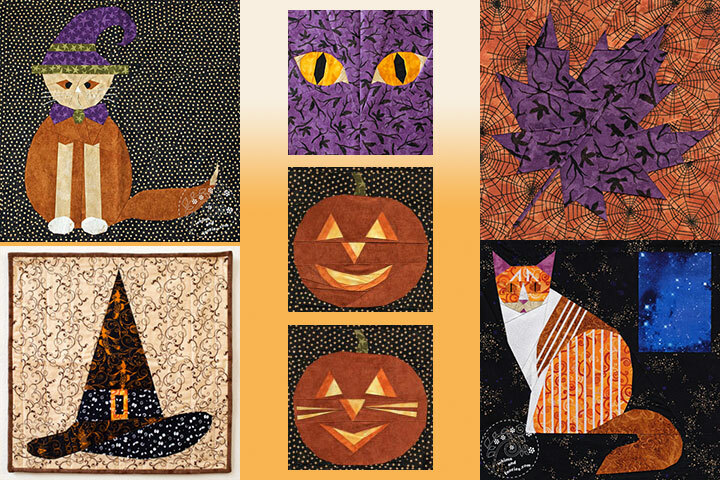 What a wonderful collection of Halloween patterns- I just got hone from and all day paper piecing class and I believe I finally get it. It has taken me a while. I love the witch’s hat. 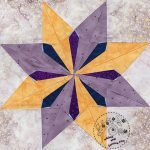 Would you consider that a pattern for a quilter who is new to paper piecing? So much to drink in, in this post, Soma. Ever since I was a little girl I loved my Derwent pencils. 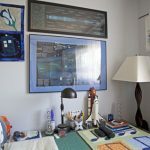 Your Freadom quilt is inspired. How blessed we are to be able to read what we like and express our individual opinions without any fear of reprimand. So excited by your new Free to Imagine leap into the future. I look forward with delight to see where you take us. 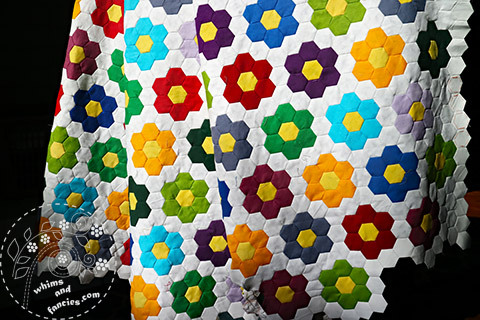 All your projects are so lovely Soma – I’m especially drawn to that hexie top! I don’t have any good ideas for finishing it but know you’ll come up with something amazing. :) I live fall and all the great autumn colors. So much great inspiration! This is a wonderful quilt pattern! I’m part of a group of librarians, active and retired, called the ALA Biblioquilters. We make quilts that are auctioned off at ALA’s annual conference to raise money for scholarship. We would like to make a few, possibly each year, for the auction. Would you require each quilter to purchase the pattern or may we share it in the group. I noted that you state you’re okay with us selling them with proper attribution. I would trust auctioning would fall under that clause as well. I look forward to hearing from you. Thanks! Beautiful Halloween inspiration Soma! I love your drawing of the Abbey. So many fantastic works in progress!! Charlie’s Adventure is such a great quilt for this time of year! I find this an unsettling time of year but then I hate the winter (more precisely I hate the cold). Lovely to catch up with everything you’ve been doing: your drawing of Dryburgh Abbey looks great! Your fREADom mini caught my eye in the Design Wall Monday linkup! I’m a librarian and a quiltmaker. It took me a minute to figure out that you didn’t miss spell Freedom, that it was intentional! So clever and a great way to make people think! A very fun Halloween quilt. Love all those spooky blocks. I love your Halloween quilt. You are a very talented woman! And…YES to books!!! Clever fREADdom quilt. I like it. That Dryburgh Abbey picture is lovely! And what a cute little witches hat! Lovely Halloween inspiration here Soma! And holy Dinah do you ever paint beautifully…jealous here… Hear HEAR on the Freadom quilt! Love it and its message. I look forward to seeing where you are headed Soma :) I followed your twitter but am not very active on it. This post of yours sure shows Fall is in the air! That watercolor is gorgeous! It’s a beautiful time of year. Your sketch of the abbey looks great. I have the same wc pencils. I love your quilts. Charlie’s Adventure– such a sweet story and a lovely quilt. I love all the purple in your Halloween quilt. 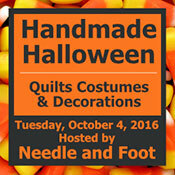 I need to mark my calendar to make a Halloween quilt in the spring, because every year at this time I wish my Halloween fabric was a quilt! Love the cat eyes blocks! Your quilts are stunning as is your painting of Dryburgh Abbey. You are a very talented lady. lol…..my mind must be in autumn mode all year round – totally scattered! Your hexies are beautiful. How do you thin a piano key border of all the beautiful hexies would work? I would keep to the shape of the hexies by appliqueing the top to the keys. Your designs are wonderful. I love that orange cat. Happy fall! I love this time of year too. All the golden colours hint at strong cups of tea settled in by the fire! I really like your kitty pumpkin! Maybe a strong coloured skinny border to frame the flowers could contain them and allow you a bit of freedom to try something else in the next border?